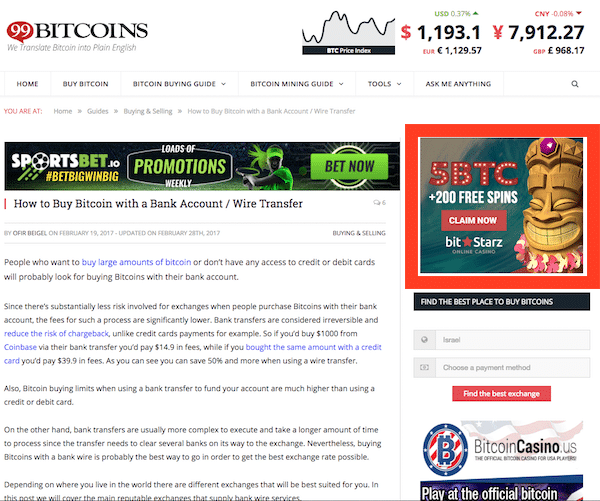 99Bitcoins caters mainly to Bitcoin evangelists from around the world. Our main audience comes from the US (34.1%), followed by United Kingdon (6.33%), India (5.34%), Canada (4.55%), Australia (3.06%) and Germany (2.54%). Users on our website are highly engaged with an avg. time on site of 1:30 minutes. Our mailing list includes 60,000 subscribers. We have over 14,000 Twitter follower and 10,000 Facebook fans. 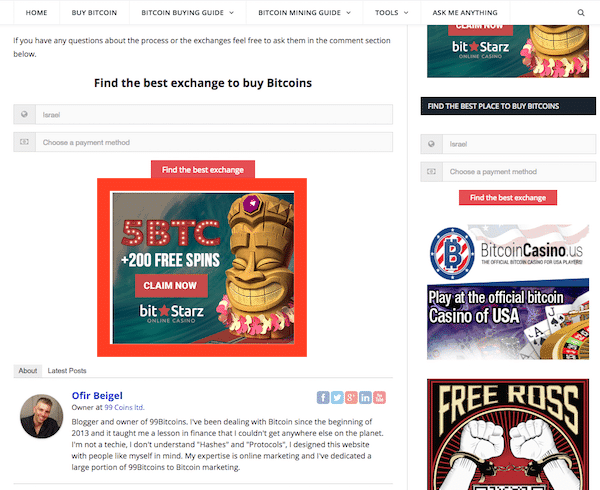 All ads appear only on the main blog and not on our Bitcoin faucet. CTR info is just for reference and varies depending a lot on the creative you supply. This ad slot appears on every page/post that with a sidebar.This ad is visible when the user scrolls down a post since the sidebar is sticky. This ad slot appears on the end of every post. Our newsletter currently has 60,000 highly engaged subscribers. 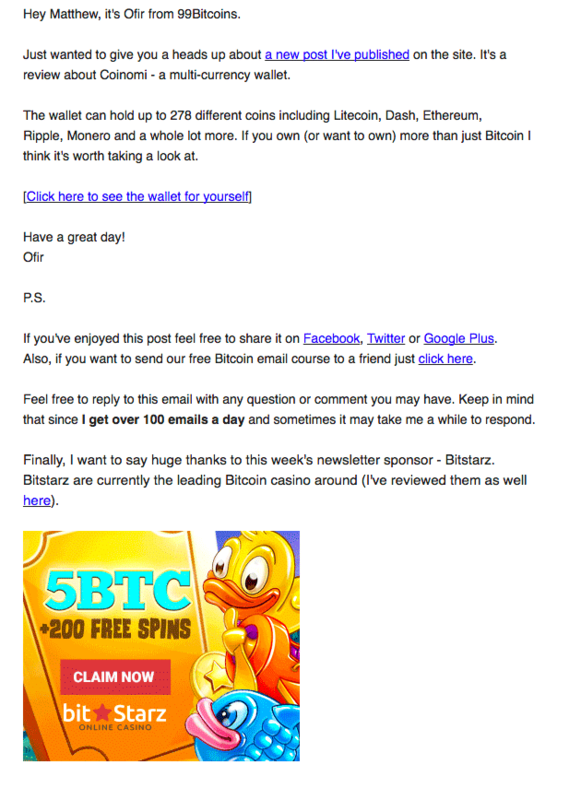 Placing an ad in the newsletter costs $750 per email blast. Price will be quoted upon request depending on the list size. We have several options to be listed on our ICO list which gets very targeted exposure of around 2000 potential investors each month. 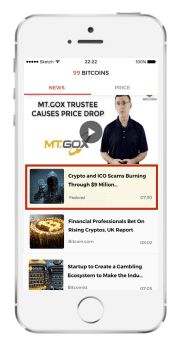 You will be able to show your coins or news story in our sponsored mobile app slots. The app is available for iOS and Android. Ads start from $2500/month. It’s possible to geo-target the ads to a specific audience. Geo-targeting is only available for campaigns that aren’t time sensitive and are a bit more expensive than general targeting. 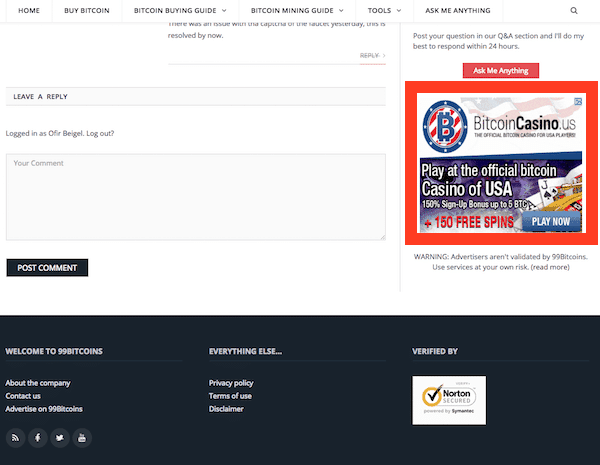 We do not conduct sponsored posts or on-demand reviews on 99Bitcoins. However, we do have several media partners that we work with and can arrange for them to write a review and for us to promote it to our readers. 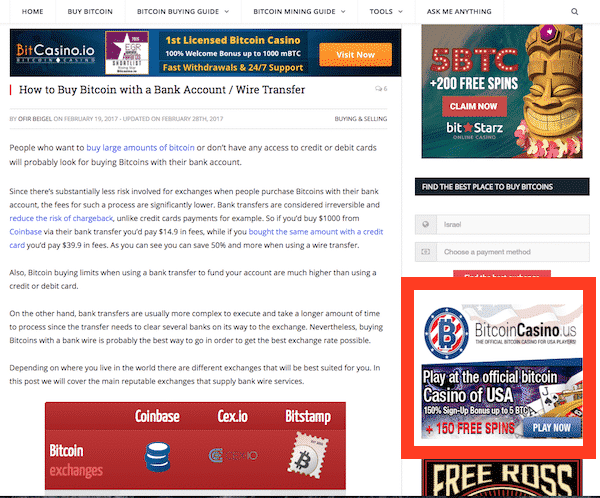 99Bitcoins isn’t a news site, that’s why we don’t publish press releases. Minimum purchase is 300K impressions. We accept payment in USD, EUR, BTC and ETH. Payment can be made via Paypal, wire transfer, Bitcoin or Ether. All fees should be paid by the advertiser when sending payment. You will be supplied with weekly reports regarding your ad’s performance once the ad goes live. No negotiation is to be taken as final until an invoice has been produced by 99Bitcoins or payment has been made. 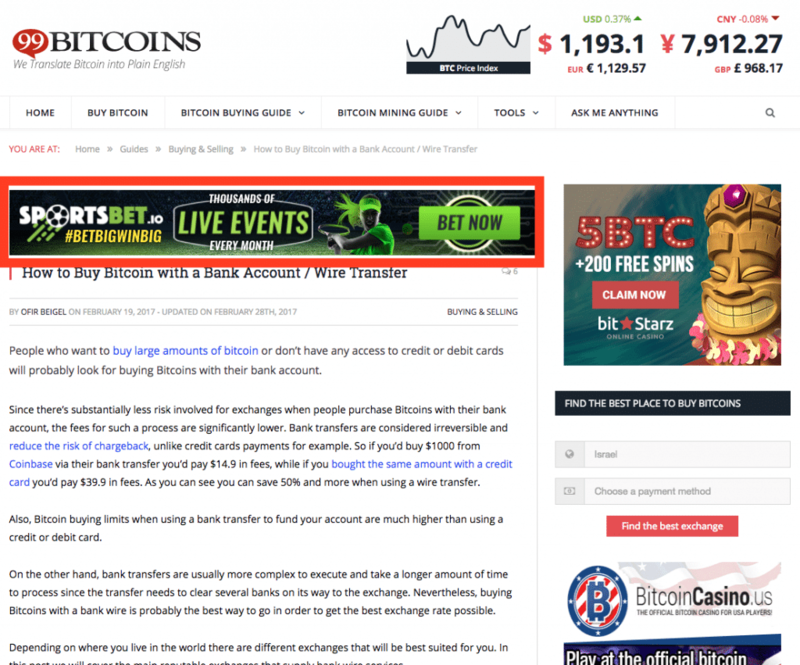 We reserve the right to extend an ad spot until 30 days from the ad expiry date. If we do not hear from you after that date we may reserve the spot for another advertiser. It’s your responsibility to contact us in case you wish to extend your contract. As the site is growing in traffic prices may change between contracts but not in the middle of a contract. Extending a contract is considered as a new contract and terms may be renegotiated. Payment for ads will be made up to 5 working days from issuing an invoice. If payment is done in BTC – the exchange rate for the transaction will be the rate on the date on which the invoice was issued (it will also be stated on the invoice). 99Bitcoins reserves the right to reject any ad. Ads will be reviewed before payment is made. Prices may change depending on demand.